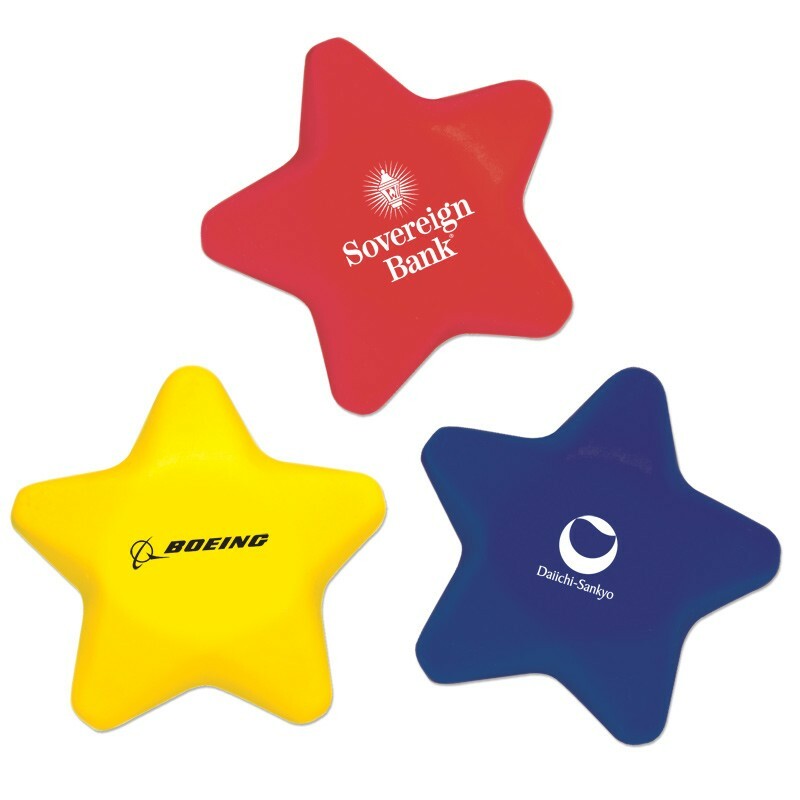 Every year, the custom promotional star stress ball is a top seller because it is useful in some many industries, and it is priced perfectly for a trade show giveaway. Many corporations have "star programs" to recognize top clients, salespeople, etc. and this is a way to show them that you care. This promotional product's light weight makes it an idea add-on as part of a direct mail program as well.